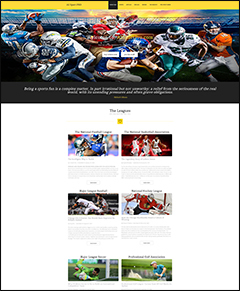 Pro Sports Website With 65 Revenue Streams! A1SportPro.com is built with 65 Revenue Streams! Includes FREE Domain Name Transfer, Professional Webmaster Affiliate Link Integration, and 1 Year of FREE Hosting Service! NO Monthly Overhead Costs Whatsoever! MAKE MONEY FROM COMMISSION JUNCTION, CLICKBANK, SHAREASALE, CHITIKA ADVERTISING, AND EBAY'S AFFILIATE PARTNER NETWORK. Beckett has been a leader in the collectibles industry since its start in 1984. We are the world’s most trusted source in collecting and a leading online destination for sports collectibles enthusiasts. Beckett has created a collectibles marketplace with more than 124 million trading cards and collectibles available from dealers all across the United States. Most importantly, we offer collectors our hard-earned reputation steeped in integrity that delivers unparalleled peace of mind. You will earn 5% - 7% commission for the sales through your website. You will earn 9% commission from any sales made from the Purchase Tix Banner Ad featured on the website. With over $400 average order size and a high payout, publishers commissions average over $36 per order. DesignAShirt.com offers its customers quality screen-printed t-shirts for any group or occasion- bands, sports teams, greeks, family re-union or business gifts, we can put their logo on any of our brand name shirts. DesignAShirt.com offers its affiliates a big share of the pie, starting you at 10% commissions on all sales made at DesignAShirt. With an average order size of $200 you'll quickly see how easy it is to be rewarded for joining our program. Since 2005, Golf18Network has been offering the best prices for tee times that can be found anywhere on the Internet. Created by avid golfers for avid golfers, Golf18Network strives to provide top-tier service by delivering discount tee times at some of the world's premier golf courses. You will earn $5 commission per order through your website. IceJerseys.com is the premier online source for the most complete selection of current and nostalgic NHL hockey jerseys and apparel. With over 20 years of servicing retail customers, our affiliates can be confident that their customers will receive great service throughout their purchasing experience. IceJerseys.com makes the perfect complement to any hockey or sports related website. As an affiliate for IceJerseys.com, you will earn from 8% commission on every product sale! Join the IceJerseys.com affiliate program today and gain access to all our latest banners and text links! Earn 8% commissions on all orders! iSUBSCRiBE is the UK’s leading and most comprehensive online magazine and newspaper subscriptions superstore.As an affiliate for iSUBSCRiBE you will earn 50% commission on everysubscription with a $13 cap on any one occurrence. TaylorMade is the premier brand in golf today. Since 1979 TaylorMade has been committed to combining innovation with authenticity and a passion for the game to create the best performing golf products in the world. You will earn 6% to 8% commission for the sales through your website. Ticket Distributors.com has over a MILLION tickets available to most all major events: Concerts, Sports, and Theater. Partner with one of the largest ticket brokers on the internet and start making money and selling tickets to events nationwide. We have over a million tickets to events all across the United States! Ticket Distributors.com sells tickets for every major event in every major city in the United States. We have premium tickets at the lowest prices on the internet. And even when shows are sold out elsewhere, your customers can still find tickets online at Ticket Distributors.com. We have the best seats around to concerts, sport events, & theater shows. No one has more tickets! Join our affiliate program and start earning 5% commissions on the total ticket price! That is one of the highest commissions paid in the ticket industry! The average ticket sale is $400, so your 5% commissions can start adding up quickly. On a $400 sale, affiliates will earn a $20 commission! And, affiliates earn commission on everyone they refer from their site for 90 days! ChampionsOnDisplay.com features officially licensed merchandise for NCAA, NFL, MLB, NHL, NBA, and NASCAR. We carry a huge selection of team logo merchandise, gifts, fan gear, colectibles and signed memorabilia for sports fans of all ages. We are constantly improving our operations and our online shopping experience to ensure we develop and progress as a leader in our industry. We take pride in offering our superior standard of customer service to each and every customer and we will treat your customers with the same care. Our experience in the sports collectibles industry and our ongoing commitment to customer satisfaction has boosted our conversion rates to well above the industry average. We pay a 10% commission on every sale generated through your affiliate site with fun bonuses and incentives available. Our unique product mix features something for every sports fan! We have one of the most respected handicappers in the nation for the past 22 years. Our President is an award winning expert handicapper and not a marketer or casino affiliate puppet. He trains and directs his handicapping staff into experts in specific sports, geographic regions, conferences. We are experts in college & NFL football - college and NBA basketball and Saratoga thoroughbred racing. Great Sales Commission - Earn 33% on all sales. Click Bank pays you 65% of $97.00 commission on every download of "Bookie Buster" from your website. Click Bank pays you 50% of $49.95 commission on every download of "You Will Win 91.3%" from your website. Click Bank pays you 50% of $200.00 commission on every download of "Exterminator Sports Betting System" from your website. Click Bank pays you 50% of $67.00 commission on every download of "WinWinSportsBetting.com" from your website. Click Bank pays you 60% of $149.00 commission on every download of "Sportscashsystem.com" from your website. Click Bank pays you 60% of $49.99 commission on every download of "Arbitrage Betting Software" from your website.